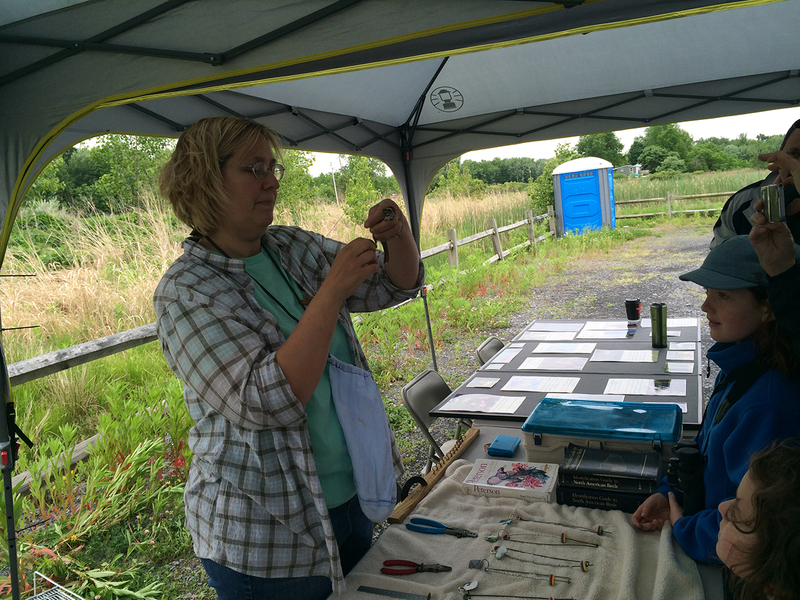 Through a partnership between Seneca Meadows and Braddock Bay Bird Observatory, a bird banding demonstration was held at the Seneca Meadows Wetlands Preserve on Black Brook Road in Seneca Falls on Saturday, June 2nd. 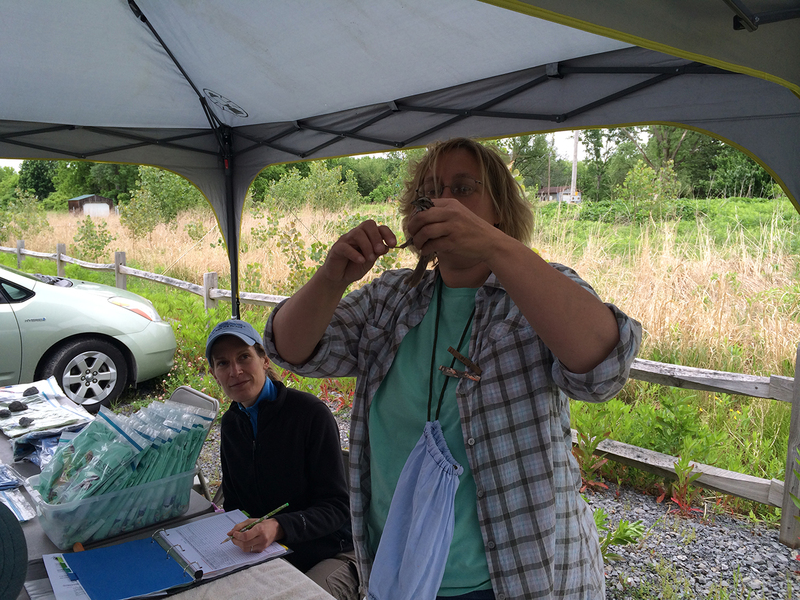 The first round of bird banding netted two Song Sparrows, which were banded, measured and weighed before their release. Children that attended the event had the unique opportunity to release the birds by hand. Bird banding is a scientific tool used to gather data regarding avian population demographics, behavior, movement, and physiology.